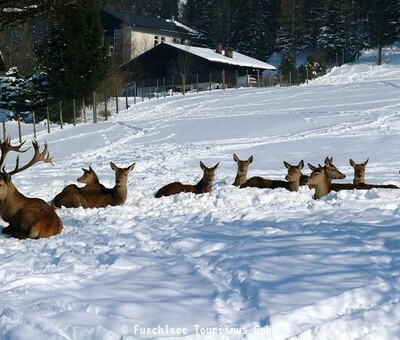 There are many great things for you to do near the Hotel Gasthof Am Riedl in winter. Secure your skis or snowboard to the roof of your car, pack your sledge and put your snowsuit in your suitcase: that's all you will need for a winter holiday in the Salzkammergut region! 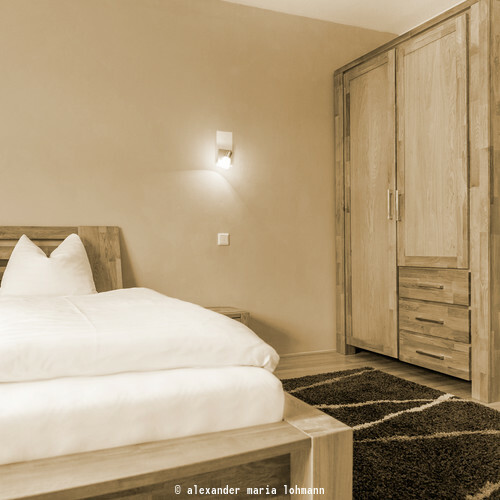 Here at the Hotel Gasthof Am Riedl we will make sure you are well-fed and our area has a wide range of fun things to do on your winter holiday in Austria. Cross-country skiers will love the incredible network of cross-country trails around Koppl. 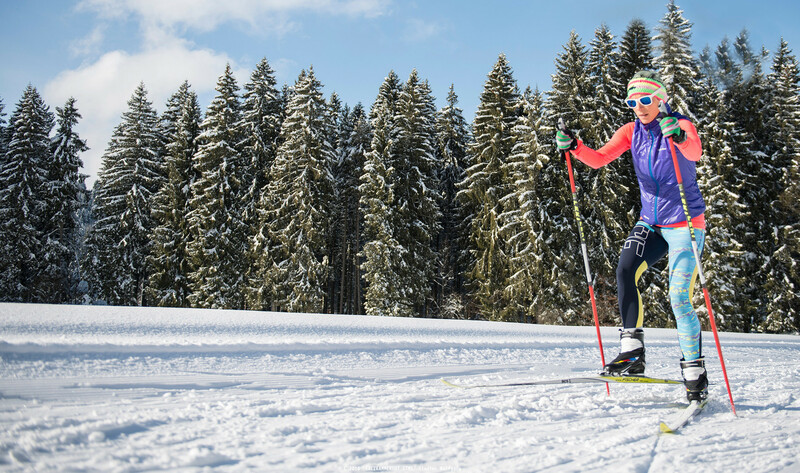 Everyone including pros, amateurs, skaters and classic cross-country skiers can choose from trails of various levels of difficulty. We recommend the Ebenau mill trail, the Bramsau trail and the night trail in Faistenau, or the leisurely sunny trail right in Koppl. 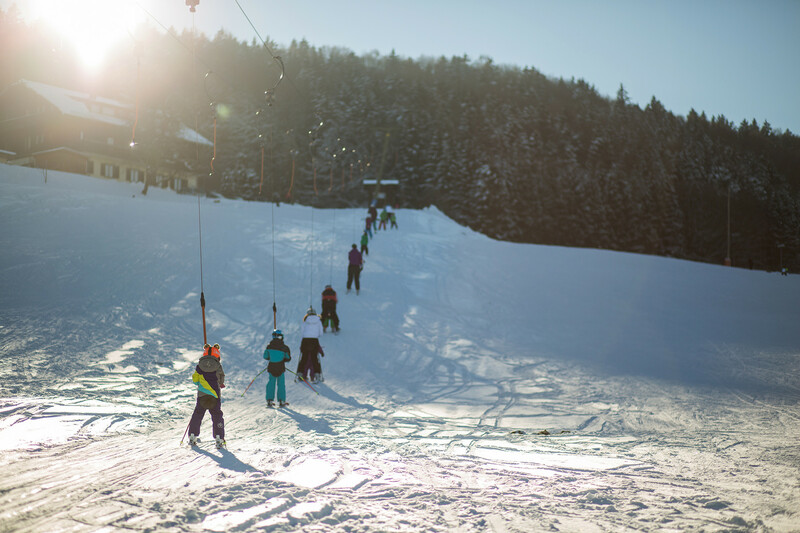 You'll find a change from skiing in our neighbouring village: in Faistenau there are approximately 70 inner-tubes of various sizes for you to use to zoom downhill! Snowtubing is a fun activity for guests of all ages and is a special experience for your winter holiday. Equipped with snowshoes or with warm boots on clean winter trails: wintertime hiking through the Salzkammergut is a relief for body and soul. You will find many winter hiking trails and snowshoe tours in a variety of lengths and levels of difficulty in and around Koppl. 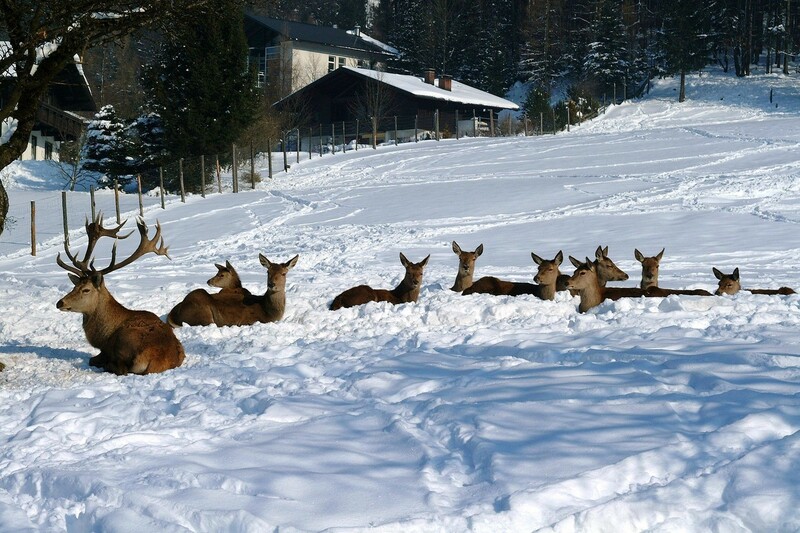 A special outdoor experience awaits you in Hintersee: daily deer feeding. We recommend wearing plenty of warm clothing and perhaps bringing along a blanket and a flask of hot tea to ensure you will be comfortable whilst sitting in the tribune. As soon as it is dead quiet, around 150 roe deer, stags and fawns emerge from the forests to feed at the feeding stations just metres away from you. Salzburger Land is known for its exceptional ski resorts. 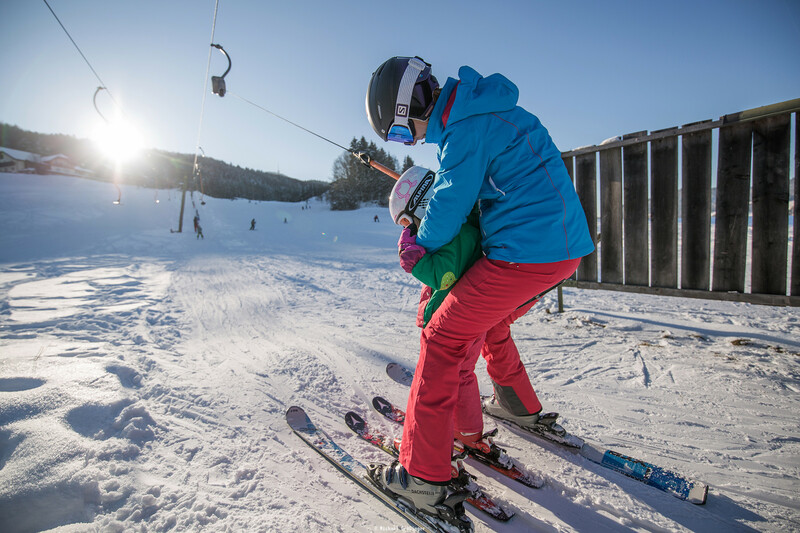 From Koppl you can easily reach the Gaissau-Hintersee ski resort which boasts 30 kilometres of slopes. 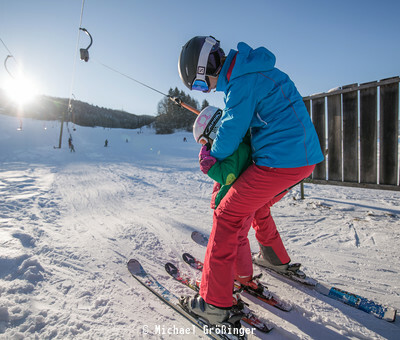 Things are a bit more easygoing at the hotel's Nockstein ski lift located right next to the hotel – hitting the slopes couldn't be easier! If all this has piqued your interest in a winter holiday in the Salzkammergut region, book your room at the Hotel Gasthof Am Riedl today!